Welcome to Acworth, Georgia, also known as “Lake City” because of the 2 lakes that surround this bustling suburb. Acworth is located just less than an hour from Atlanta, making it close enough for residents to enjoy all that Atlanta has to offer! Enjoy that small-town feel while being located just far enough from the hustle and bustle of the city. Enjoy fun and serenity when you make Acworth, GA your home. Being surrounded by two beautiful lakes, Lake Acworth and Lake Allatoona, Acworth offers plenty of beach-front activities to enjoy. Go fishing, boating, swimming, and camping at either lake or enjoy a nice picnic at one of the twelve area parks located throughout the city. If you love the outdoors, there is no shortage of things to do. Located just between downtown Acworth and beautiful downtown Woodstock, there are plenty of options to choose from! Acworth’s historical downtown district is a great place to learn about the history of the city and take in all of the stunning architecture. While you’re in the area, consider a shopping excursion in historic downtown Acworth, the Outlet Shoppes of Atlanta or take a trip to Town Center at Cobb Mall. When you make Acworth your home, you will be just minutes from all of the area’s great shopping destinations. Visit the Cherokee Commons Shopping Center or grab a bite to eat at one of the many area restaurants. Nicks’s Bar-B-Que, Center Street Tavern, Huey Luey’s Mexican Kitchen, Henry’s Lousiana Grill, and Thai Basil are just a few popular dining destinations for locals. Love to golf? Then you will absolutely love playing a game at Golf Digest’s #1 rated public course, Cobblestone Golf Course, nestled right next to Lake Acworth. Need to make the commute to Atlanta? No worries! 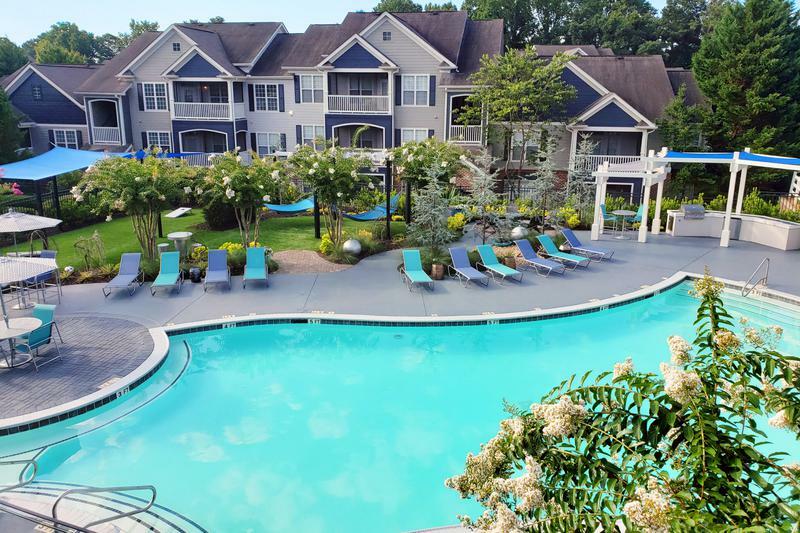 Our apartments near Atlanta, GA have easy access to Highway 92, I-575 and I-75 making your drive to work a breeze! Your children will be attending highly rated schools, as Cherokee County public schools have fantastic ratings! Our Acworth apartments for rent are located near Kennesaw State University, less than 5 miles away, making it a great off-campus apartment choice for students attending KSU. Aspen Square’s Acworth, GA apartment community, Revl 100 offers luxury living at an affordable price! Offering one, two and three bedroom apartment homes ranging from 874-1388 square feet, we are sure to have the perfect floor plan to meet your needs. Relish in our large, open-concept floor plans, perfect for entertaining guests. Open kitchens include a breakfast bar which overlooks the living room area, ample cabinet space, and all the appliances you need. All of our apartments for rent in Acworth, GA feature full-size washer and dryer connections or appliances and plenty of storage space. Enjoy some fresh air from the privacy of your very own patio or balcony. As if all that isn’t enough, Revl 100 also offers plenty of resort-style amenities such as a sparkling swimming pool with expansive sundeck, picnic areas with grills, a playground for the kids, and a resident fitness center (coming soon)! If you’re in search of a pet-friendly apartment community in Acworth, rest assured that Revl 100 is pet-friendly and even accept large breeds. We even have a brand new bark park! What more could you ask for? Come see why so many people are making our apartments for rent in Acworth, GA their new home!